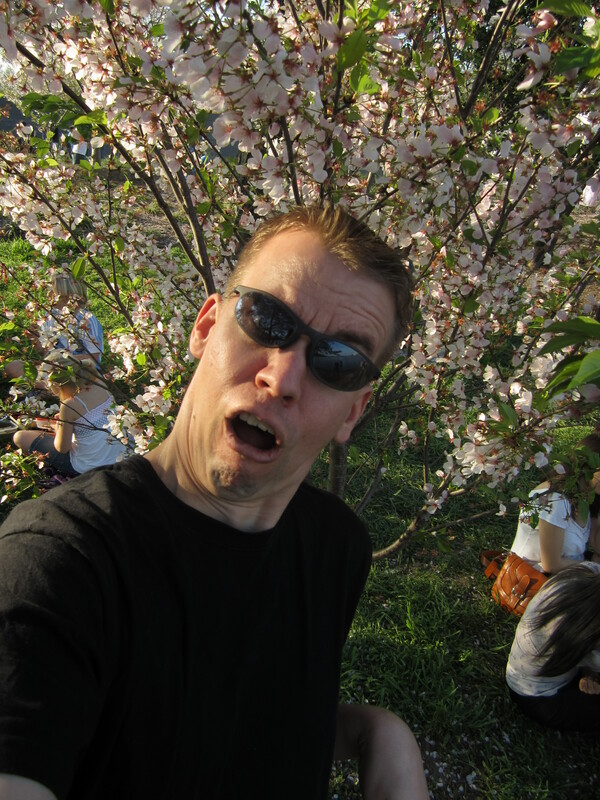 May I Interest You in a Cherry Blossom? After hopping off the Metro at Smithsonian Station, we were sucked in to the flow of people blossom-bound. The trees were gorgeous and definitely photo-worthy, but with amateur photographers set up roughly every three feet, I felt like every step I took was directly into someone else’s shot. We quickly decided the best option was to find an empty spot of grass along the basin and enjoy the flowers (and excellent people watching!) from a stationary position. An hour of critiquing the various outfits that meandered by us (between the middle aged coupled dressed like they were straight out of a Jane Austen novel strolling along the basin to the man in the pink shirt and pink tie that I can only imagine he purposefully matched to fit with the blossom theme, there was more than enough fodder for me to keep up a E!News-worthy running commentary) we decided it was probably time to call it a day. By that point, we had not only our required floral photos, but a few additional ones of Thad, the likes of which may never have been taking before. Weaving in and out of the masses, avoiding the click of the ubiquitous cameras, we slid out of the throngs and made a break for the Foggy Bottom Station. Between the blossoms, spring break and our recent spate of stupendous weather, DC is bursting at the seams with people. It is no understatement to say we breathed a sigh of relief as the thin door to the mo-partment closed behind us Friday night, shutting out the craziness brought on by the perfect-storm of spring-y-ness. You know how there are things in life that you just don’t think you’ll ever do? Not things that you insist you won’t do because you are adamantly against them, but those things that you just don’t see in your future- those are the ones I’m thinking about. For example, fifteen years ago I would never have thought I would end up living in rural China. (The Dominican Republic was definitely on my radar, but East Asia? Nope.) Ten years ago I didn’t think I would ever take a random hiatus year from work. Five years ago I didn’t think I’d be the proud (although not worthy) owner of a motorcycle license. Well, last week, I encountered another of those “don’t think that’s for me” moments- a minivan. That’s right. A minivan. Pushing fourteen years of marriage and no kids, the minivan has never been on my list of things I wanted to drive. (And this is coming from someone who kinda’ wants to drive everything! I would do almost anything to get to drive a Zamboni. When I heard the Idaho Red Cross where I used to volunteer was having a forklift driving class, I seriously considered buying a ticket to fly across the country, just to get in on that gig.) But, with a run to Costco looming, my best buddies at the Crystal City Enterprise didn’t think a Prius was going to cut it. After being granted access to the store after my Dad flashed his members-only card (again, don’t even get Thad started on the exclusivity of a warehouse shopping experience), we chose a flatbed cart over a basket and retraced my steps from the previous outing. The list I created on my initial visit turned out to be more helpful than even my obsessively-organized self would have imagined. We were able to go up and down the aisles in the same order I had done before, picking up the desired items in the desired quantities. It was like clockwork. What wasn’t like clockwork? Mom’s and my stacking abilities. We quickly decided that Dad would be the muscle of the group, pushing the awkwardly huge cart up and down the aisles littered with wandering small children and cap-stoned with sample tables on each end. While he did that, Mom and I would get the items and add them to the flatbed. Apparently, we were horrible at this. I guess neither of us is bound for a job in freight-packing or as Tetris champions. I get the basic concept. Big, heavy stuff should go on the bottom and light, oddly shaped stuff on top. The problem is, Costco doesn’t organize their store from big and heavy to light and oddly shaped. For some crazy reason they put items together by food category rather than size and shape! Thanks for that Costco. At first, Dad tried to help out with suggestions and the occasional reordering while we were away from the cart, but I think it soon became clear to him that this process was not going to stack up the way he would like. The helpful hints soon became knowing smirks as Mom tried to figure out how to put twelve cans of tuna on top of a giant bottle of ketchup and I tried to cram one more box of Cheerios onto a four-inch empty spot on the side of the cart. Once we had finally reached the end of my list, getting everything off of the two-page “buy” list, I had to make a decision or two. On my “maybe buy” list, I had included some camisoles, a polo shirt for Thad, some bath rugs and a 7’X5’ shag carpet area rug. The camisole verdict was quickly reached, when they were all out of anything but white in my size. Thad’s polo was an easy decision too, as I think he needs a few more and he could care less, so onto the cart it went. I eventually decided against the bathmats. I still do want to get a few small rugs, as they will add color to the house, but I also think I may have a few in storage that will be showing up in China a couple of months after we arrive. After a few minutes of staring and a consultation with Mom, I decided we were going to go for it. We had the minivan, after all! The rugs were all rolled and stacked on their ends in a giant box. Out of the four colors available, three of them were easily accessible from the edges of the holding crate. But wouldn’t you know it? The one I liked the most (there was only one!) was in the far back corner. Luckily, we brought the muscles with us! Dad abandoned the cart, leaving Mom to guard the precious stores of pudding cups and Mountain Dew, to dig out the one and only pretty mottled-brown rug from the back of the display. This meant pulling out about five other rugs, digging the last one out of the back of the box and then returning the previous five to their original holding pen. Thank goodness we brought Dad along! There is no way Mom and I would have been able to do that without creating a chaotic mess. I now have one more thing ready to check of my “getting ready” list, but maybe more importantly, I can cross “minivan” off my list of vehicles to operate. (Okay, technically I’d have to add it first, as it was never on the list, but you get the idea.) Now, how can I get my hands on a Zamboni? This is the final book in James Dashner’s Maze Runner trilogy. As with many trilogies in recent years, I have found the third book to be my least favorite. That doesn’t mean I didn’t enjoy it. I did. I would definitely recommend it and I was desperate to know if there was any chance of survival for the main players, but much like the third Hunger Games book, it just didn’t have the same page-turning suspense as the earlier books. 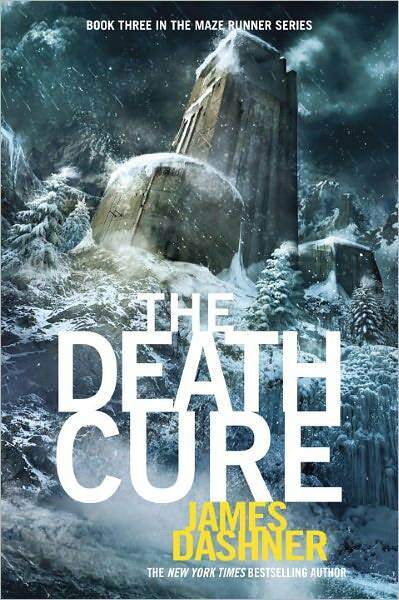 The Death Cure continues to follow Thomas and his shrinking band of Gladers. In this final installment, WICKED is up to their same tricks, manipulating the emotions and actions of teenagers in a misguided attempt to save the world from the ever-spreading Flare. This time the powers-that-be swear that the games are over, the trials have been completed and they are nearly done with the brain maps they insist will save the world. The problem is, Thomas and his gang have heard this story twice before. They are left to wonder if they should now fall into line and acquiesce to the final requests of WICKED or if they should make a run for it, hoping to be able to find a niche of their own in a world that is quickly crumbling. In this final installment, Thomas is forced to confront the horrors of the Flare in the real world. While the world created for him by WICKED was a horrible one, filled with torture and death, it was all controlled. Once Thomas is allowed to witness what Earth has become, and the uncontrolled and uncontrollable consequences of the disease plaguing mankind, he realizes that things are worse than he ever imagined. While he has an enviable immunity to the virus, the same can’t be said of his entire group of boys. This realization and the choices he is forced to make because of it are devastating. Thomas is forced to face some new realities in this last book, which help fill him out as a character. He has always been a leader, although not necessarily by choice, but suddenly we see his infallibility falling apart. In the previous books, even when a minor character or two are lost, the main group is able to stick together and persevere to face the next threat. The Death Cure puts an end to that predictability. 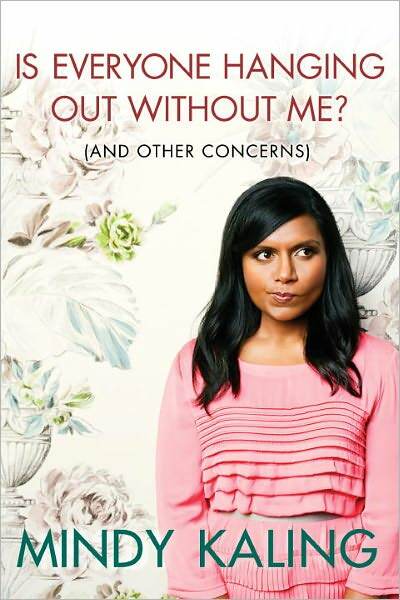 As a relatively recent convert to The Office, and now officially in love with it, I was super excited to find this book by Mindy Kaling, one of the show’s writer and actresses. I’ve always been a fan of this genre of non-fiction book- the thoughts and ponderings of a comedian, their take on daily life stuff put into short, witty essays. As it turns out, Kaling is a girl after my own heart. I’ve decided Mindy Kaling and I would be great pals. We share a love of clothes and fashion magazines and have similar outlooks on many of life’s little quirks. I love that she shares some of her most embarrassing moments, like when she tried out for a play in New York that required singing and dancing and acting, only to horrify the director with her lack of dancing aptitude. At one point she discusses how she is basically the polar opposite of athletic, which is exactly where I would fall on that spectrum as well. Kaling’s essays are short, but filled with the not-so-mundane details of her pathway to Hollywood. She was raised an obedient child of hard-working immigrant parents who didn’t necessarily see comedy as the way to success in America, and yet they were supportive and she has found her niche in sunny southern California. She wasn’t successful at everything she tried, which is great for us as readers, as it provides hilarious fodder for her writing. While I had a Barbie or two as a little girl, I never really got into dressing them up in an array of outfits and using them to put on pint-sized fashion shows. Those pointy little fingers that caught on every shirt and the geriatric, unbending knees that made putting on a cute pair of pants nearly impossible put me off on the idea of doll dress-up. Rather, my Barbie usually ended up colored coordinating with the black and purple tractor-trailer into which she was crammed, inflexible limbs and all. Who needs to haul big machinery with a semi-truck when Barbie is awaiting a ride? I went into the shop with a couple of dresses in mind. (You will remember the pretty pink one I loved from “The Intimidation of Sparkles and Baubles.”) Of course, after riding the Metro for an hour and then having a strange and rather uncomfortable encounter with a homeless man on the walk to the store, they didn’t have either of the dresses that I wanted to look at in stock. (They did tell me I was welcome to go out to Baltimore, where both were available! Thanks, but the Metro doesn’t go there.) After having a moment of grumpiness, Erin arrived to save me from my slump. She quickly convinced me to try on other dresses while we were there, saying that she would take me to Baltimore one weekend if we didn’t find anything we liked. With that in mind, I passed on the cotton candy creation that the dress consultant told me was “just like” the one I had wanted to look at. (No. No it wasn’t.) Her other pulls were just as lacking, so Erin and I opted to hit the racks ourselves. As we pulled a couple of promising gowns, a different sales consultant saw us going through the dresses ourselves and came over to check on us. She promptly asked us if we were looking for prom dresses. Erin and I grinned as we said that no, we were just looking for a formal that would be appropriate for State Department functions. Then, we sneaked behind a rack and giggled as we high-fived. This was better than being carded to get in a bar! Prom?!?! Take the age I went to prom and double it and you’re much closer to reality. After trying on a series of long dresses, Erin and I narrowed down the options to two. (I also tried on a bunch of short cocktail dresses, one of which I loved, but eventually decided I didn’t want to spend the money to get both a long formal and a short cocktail dress.) One dress was fitted and had a more classical style to it. It fit like a glove (in a size 4, thank you very much!) and would be easy to wear to multiple occasions. The store only had it in black, but could order it in a variety of jewel-toned colors. The other dress was more flow-y on the bottom and was a lot of fun. 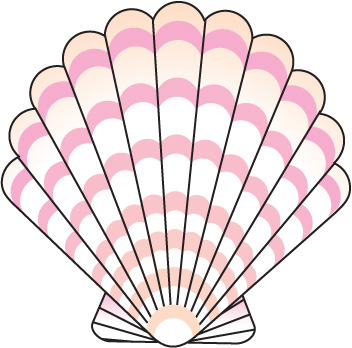 It came in a variety of sherbet colors, but was so unique that it would be hard to recycle for various events. After going through the pros and cons and possible accessorizing options for each dress, I settled on the slimmer silhouetted dress, but ordered it in “sangria,” which is a rich raspberry/purple color. Dear ol’ Barbie may still be jammed in the back of a tractor trailer, hidden in a pile of dump trucks and Rainbow Brights (dolls and trucks went together like peanut butter and jelly in my young imagination) but the love of pretty colors and clothes has not been smothered by subsequent years of school and work nowhere near the world of fashion. I may be in the middle of a move from Idaho to Washington DC to Chengdu, China, but I am determined to take the pretty with me! After thirty one days filled with endless PowerPoint slides, way too many personal comments from some class members, one hundred multiple choice test questions (only two of which I missed and one of those I blame on orphans! ), enough fake interviews to know the visa line may not be the place for me and one tedious make-up day (long story! ), I can officially cross ConGen off of my list of things to do before we head out to China. Chengdu is a consumables post. (I have no idea why, but I’ll take it!) That means we can have about a ton (literally) of food and other use-up-able items shipped to China for free. Obviously, we have to purchase them, but then the shipping is on the department. Thad can’t wait to eat Sichuan peppers for the next two years, but my eating habits will be better served with an occasional treat from home. With that in mind, I thought I would do an initial trip to Costco to make a shopping list that included prices and weights so I could mull over my options before actually making any purchases. I gathered my handy-dandy notebook (not the blue spiral one featured prominently on Blue’s Clues, but rather a cute cream colored one with stylized flowers and vines twisting their way across the cover), a sparkly purple pen and marched myself the block and a half to Costco. As non-card-holders (don’t even get Thad started on the idea of paying a corporation money to shop at its store), this was my first visit, even though it is a mere five-minute walk from my front door. I figured the best way to tackle the daunting cavern of a store was to just go up and down each aisle, skipping the fresh and frozen foods, as they aren’t going to do well sitting on an airport tarmac for undetermined amounts of time. *Apparently, Miracle Whip is not popular on the east coast. (Does it fall into the same category as fry sauce?) There were several varieties of mayonnaise available in trough-sized jars, but no Miracle Whip anywhere to be seen. *People look at you a little strangely if you stand for too long in the cereal aisle, counting unknown items out on your fingers, mumbling quietly to yourself. *It takes roughly two hours to wander up and down every aisle of Costco, making a three-page list and checking it twice. It doesn’t take long before Jane realizes that adventures can come disguised in many different cloaks. What was to be a boring day of helping Nellie Phipps dump Bibles off on anyone willing to take one turns into an unexpected, and although not unwanted, definitely unsettling, ride in a rogue hot air balloon. She must land the runaway balloon by casting off the Bible ballast filling the basket. Once on the ground again, she realizes that her summer of adventure is just getting started! The balloon ride and Bible air drop lead, unwittingly, to a horrendous summer babysitting job. The kids are raggedy and dirty, their mother is harsh and manipulative and their father is drunk and abusive. This is not the way Jane saw her exploit-filled summer playing out, but soon she realizes that this guilt-filled job is just another path to adventure. The plot of the book is fairly straight-forward and Jane is a pretty average kid looking to take the step from being a child to an independent adolescent. It wasn’t necessarily the storyline or the characters that drew me into this book, so much as certain blocks of text that were both thoughtful and thought-provoking. For example, when early in the book Jane is trying to understand why an older woman at their church has no interest in her ramblings at the activities of her day, she says: “She had another sort of day and will never know ours. Suddenly I realized that everyone in the whole world is, at the end of the day, staring at a dusky horizon, owner of a day that no one else will ever know.” ( 21). How true this is! At the end of a day, even after telling our stories, we each have had our own day that no one else has lived. It is ours and ours alone. Another example of a line from the book which I just love is, “Never have I felt so much like a candle on a cake ready to be lit.” (28). 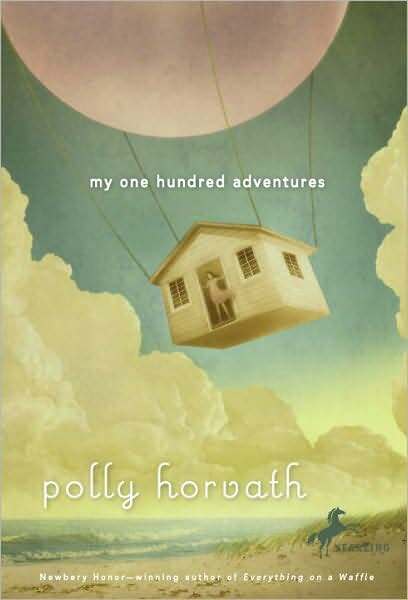 Horvath uses this description to illustrate how Jane feels as she sees hot air balloons for the first time and is desperately hoping one of the operators will offer her a ride. I’ve often felt that same excitement as a big event approaches, one edge, waiting for the new adventure to begin.